Award-winning toy and game manufacturer Educational Insights® (EI) has partnered with Upright Citizens Brigade Theatre to create original content, including a commercial, webisode, and instructional video, in support of the launch of EI’s brand-new, laugh-out-loud party game, Sculptapalooza™. Founded by comedic giants Amy Poehler, Matt Walsh, Ian Roberts, and Matt Besser, Upright Citizens Brigade (UCB) is considered the proving ground for the best and brightest talents in the comedy industry. A crew of UCB performers were the perfect partners to spread the word about the most hilarious and totally out-of-control party game of all – Sculptapalooza – and the results are as straight-up hilarious as the game. 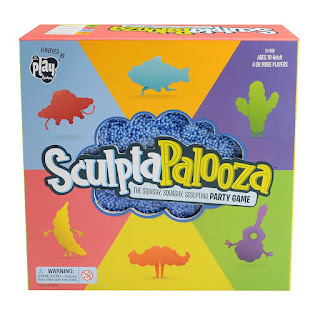 The first-ever party game for grown-ups from Educational Insights, Sculptapalooza is designed for four or more players, offers a squishy new twist on traditional party games, and challenges players to sculpt whatever’s shown on the cards they draw using squishy, squashy Playfoam® (included). 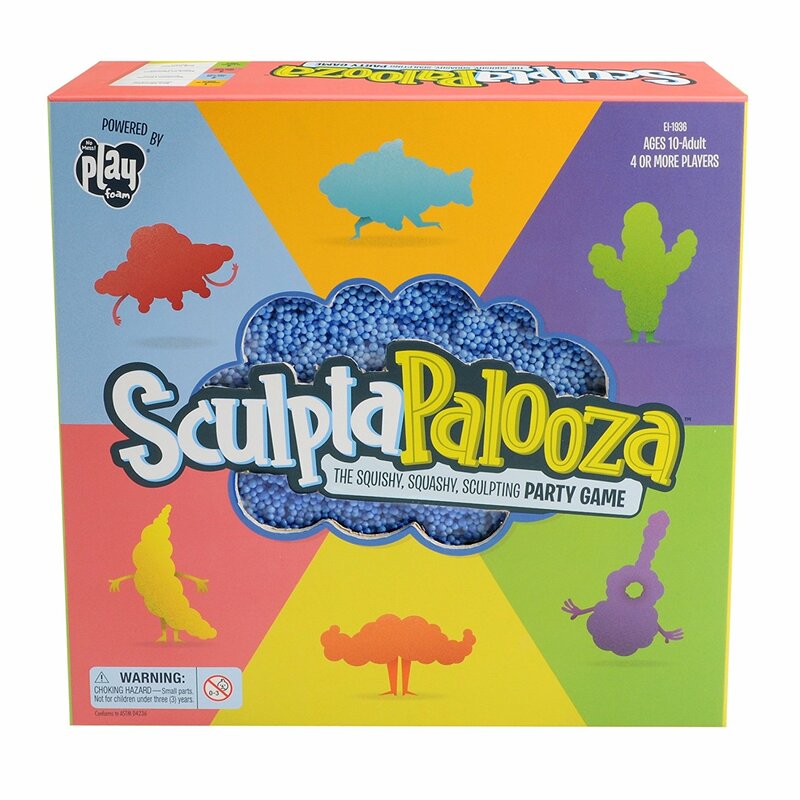 As players race against the clock to sculpt and guess in categories like Straight Up Sculpt, Put It on Your Face, Just Close Your Eyes, Playfoam Props, and Sculptor’s Choice, Sculptapalooza takes grown-up game night to the next level. As part of the partnership, performers from the Upright Citizens Brigade Theatre hit the streets of New York City to play the game with unsuspecting men and women around town. Even notoriously tough New Yorkers couldn’t keep it together when the comedians challenged them to a round of Sculptapalooza. The webisode includes candid footage of unsuspecting, unscripted New Yorkers busting a gut to the over-the-top antics of the comedy crew. Okay so think Charades, but on a whole different scale. It is pretty much the same basic concept as Charades. You are making sculptures out of a foam that is included with the game. Which by the way, does not smell or leave a weird residue. Honestly the foam is pretty spectacular. I wouldn't recommend it for small small children, because it is a bunch of tiny foam beads that make up the sculpting foam. You are racing the clock to sculpt as many foam figures as possible and for your team to guess right. Think what you would sculpt for Harry Potter. Things like that. This game can make you pee your pants. There are different categories to the play. They are Straight Up Sculpt, Put It on Your Face, Just Close Your Eyes, Playfoam Props, and Sculptor’s Choice. I found Put It on Your Face and Just Close Your Eyes to be exceptionally difficult, but also equally comical. The first time I played with my friends we lost track of the score and were just playing for fun. It got pretty comical. We just played until we got tired. 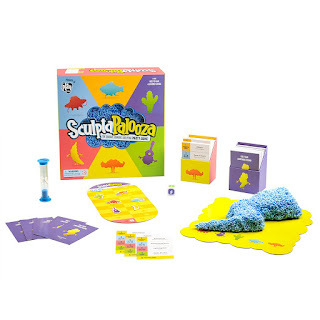 This is a great first adult game from Educational Insights. They definitely got it right, right out of the gate. Even the directions were comical to read. And for the people that do play this game.... I so am that person with the directions. Definitely do not be afraid to make up your own clues, because I am not going to lie sometimes their's are hard. I just wish they had an option on their site to order more foam. Eventually dog hair or other things are going to get stuck in it. I would like to be able to order more. Definitely a wide array of ages can enjoy this game.